There is a clear convergence trend in-play within the stock media market currently and most larger libraries are either buying up DAM vendors or launching their own products. This is not entirely new and there were photo libraries using the same strategy as far back as around 15-16 years ago; the big difference now is the scale of the operations involved. The earlier examples were mostly very smaller stock operators that primarily had the objective of recouping the cost of their own investments into online libraries but would take advantage of any additional business they could generate from their positioning with corporate clients who also purchased their images (although it should be noted that some like Getty Images, for example, have offered their own DAM solution for some time and they are not exactly small. by any definition). The difference now is the consolidation process on-going in stock media for over twenty years has severely reduced the number of market participants who remain. There seems to be two separate drivers of this trend towards integration of stock media with DAM solutions. Firstly it is the ongoing deflationary pressures present in that market. The price of images especially has fallen dramatically, largely because of basic supply and demand: there are many more images in existence now due to the use of digital cameras etc, to the point that a significant number of people do not even realise that images are not free for anyone to use and are copyright (i.e. someone’s intellectual property). I note in the The Verge article quoted above that Adobe offer subscription plans and this seems to be common among their peers also, because the opportunity to generate positive cashflow from single image sales is so restricted. The second driver encouraging convergence is the channel opportunity presented by operating an applications software platform. 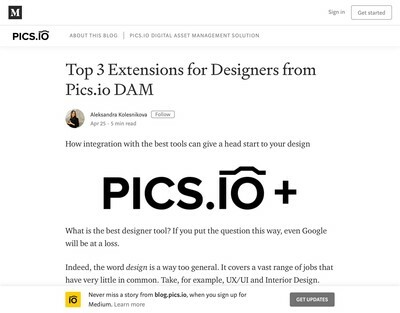 If you have users who work with images on a daily basis, as the owner of a converged stock media and graphics production application platform you probably want to both remind prospective buyers that you have images available for them to purchase and be their first port of call when they think they might need some. 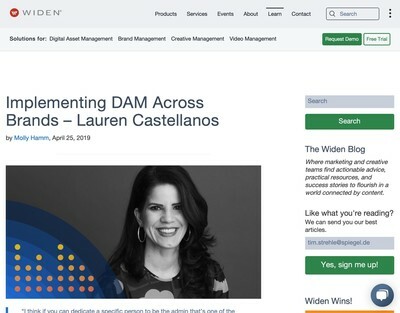 In this sense, DAM platforms can be seen to have acquired a role as advertising channels for stock media libraries who operate these converged library + application solutions. What might happen next if this trend continues is interesting to speculate on, especially because it echoes what appears to be taking place within the rest of the DAM sector. In DAM software, the lack of new ideas about where to go next with products is encouraging many to expand the scope of their offer: i.e. build out to expand into adjacent markets. In general, I think this is a bad idea as systems with tightly-defined objectives generally perform far better than those that are more diffuse. 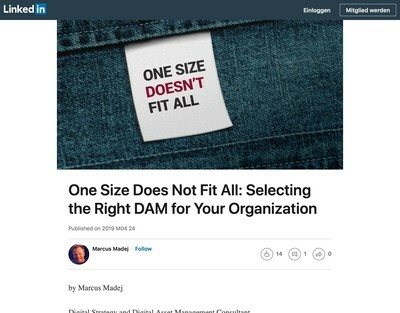 There is demand for them from DAM users, however, who desire procurement simplicity by being able to get one product that ‘ticks all the boxes’ (a phrase responsible for a multitude of software procurement sins). As well as lack of any ideas, it also represents a form of hubris and over-confidence resulting from a few years of decent sales growth. This is evidenced by the aggrandised or generic names used for products now, e.g. ‘Experience Portal’, ‘Brand Powerhouse’, ‘Marketing Command Centre’ etc. I see tweets, marketing materials and various other collateral from vendors who I would have associated with the DAM market that appear to relate to something entirely different, for example, content marketing or social media. That DAM has a role in servicing user requirements in these areas is not under dispute, but DAM software has not historically been the core platform used to implement a strategy relating to them, nor should it, in my opinion. Simultaneous with this ongoing trend is the level of staffing in DAM vendors. I was aware that many DAM software operations were lightly resourced before, but earlier this week, I had cause to contact a few about a technical initiative I am involved with currently. In most cases, either the vendors concerned either told me up-front, or it was possible to infer by the language used that their development teams were currently at full-stretch and ‘spare time’ was some unfathomable and fanciful concept unheard of at their firm. I suspect that while the owners of DAM software vendors probably do intend to take on some more people they are acutely aware of the potential margin pressure that might result if they permit any kind of slack or unused capacity situation to persist. Although sales are probably good right now, the numbers are still not robust enough to have people sat around with spare time on their hands. There will be an insufficient number of skilled personnel able to service the system and pursue land-grabs for new functional territory. The original purpose of DAM software (i.e. a media library to find images, videos, documents etc) is relegated so some kind of rudimentary utility back-end feature (and no longer the chief reason proposed by vendors to buy one). The key determinant of vendors ongoing ability to compete will become more about having sufficient capital to keep this monolithic technological monster fed and watered. An opportunity might subsequently emerge for those vendors who are able to control their expansionary instincts sufficiently to gain pre-eminence as nothing more than DAM specialists (in the original meaning of the term) but how long that will take to be proven as a reasonable course of action is harder to say. The DAM market appears to exhibit bubble-like characteristics. I gather a number of reports have been published recently by market research firms that also offer similar documents in hundreds of other sectors. 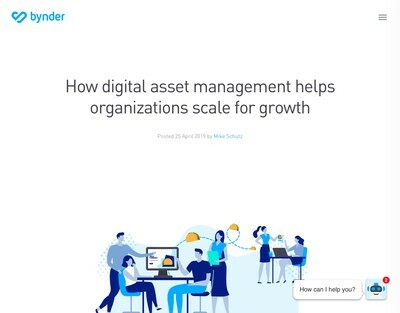 These include implausible predictions about the size and growth of the DAM market, usually where they have extrapolated numbers based on the presence of some larger tech brands and their revenue from Web Content Management or another tech segment that is more substantial than DAM but could potentially be combined with it only via a very loose definition of what Digital Asset Management is all about. I have been told by a friend who works in the market research field that inflating numbers in growth sectors is a tactic that some research publishers use to help get reports noticed and press written about them, but whether that applies in this case is hard to say. No doubt, these figures will be repeated verbatim without any critical evaluation by many and also used by vendors as justification for private equity investors to hand over their capital (although how many of those will genuinely believe them is a different question). I do not claim to know exactly where all this will end up, but it seems like the same trends in stock media might result in DAM software also and it is another case of everyone competing with everything that moves and most participants eventually finding they cannot sustain that model forever. Those who plan to stay in DAM (if my interpretation of the trends is correct) either have to offer something that is very specialist (and therefore difficult for others to replicate) or have access to a lot of cash in order to allow them to remain at the table over an extended period of time. I think your observations are spot on, Ralph. As a user of the Adobe Creative Cloud, I loved the idea of being able to get at stock content without having to leave Photoshop, when I first heard about it. But UX is everything, and UX extends beyond UIs. Will it be convenient? Will it ultimately be the most sound purchase strategy for stock content? Will the “collect and consider” stage of browsing stock content still be practical for those without Create Cloud subscriptions? I suppose we’ll see. I’m not an Adobe naysayer, so I have hope. In fact, I think this move was brilliant on their part. But there is a bigger concern going on here with regard to Adobe’s vision for the future: Is it open or not? It would be easy to argue that Adobe is headed in a very proprietary direction. “CC” might soon stand for “Closed Cloud” as soon as they can shore up all entry and exit points–a reality they’re quite close to achieving. But what would something like that look like? Would we see Adobe “standardize” on proprietary file formats to the exclusion of all others? Would Photoshop lose support for, say, TIF, while a new version the PSD format came out that embedded things like IP addresses, or the creator’s CC ID? Or, would that new format make it impossible to sell the content anywhere outside of the Adobe ecosphere? When Shutterstock bought WebDAM, I guess we could all see some value in that for Shutterstock. And one could even see some advantage for WebDAM customers, assuming they preferred or even even used Shutterstock content. But, personally, I would prefer to see things going in the direction of options and openness. I don’t use Shutterstock for stock content and I don’t use WebDAM. I do use Creative Cloud, but not all of it. Will I use Adobe Stock content? I guess that depends on whether I see some value in increasing the monthly cost of a bunch of CC subscriptions. If I decide to do that, we’ll no doubt use that collection–after all, we’d be paying (dearly) for it. But the alternative is that I don’t mess with our CC licenses and I continue to buy stock content from any place in the world that I choose. Let’s be realistic: Downloading and editing into Photoshop isn’t that big of a deal. When I think of all the inconveniences of today’s production workflows, this is not high on the list. Further, while it might be nice to pull content into Photoshop without leaving Photoshop, then what? Is there a Photoshop-to-Sitecore integration? Or how about Photoshop to SharePoint? Or anywhere else outside of the Creative Cloud? In fact, once I have something inside Photoshop, I can move it to those systems via Picturepark. Other DAMs can do the same. So, in order to realize that “stay off the desktop” fantasy, even if I did get into the Adobe Stock world, I would have to add a non-Adobe DAM if I wanted to increase my chances of being able to move my workflow outside the Adobe world. Again, I love Adobe. (Really, I do!) But this closing-in world of their concerns me. I want them to move in the opposite direction. They could be spearheading standards that would make it easier for all the world’s creative tools to work together. They would be respected in that role, and they could really effect some positive change. Or they could try to do what Microsoft has been getting away with for years. The thing is, though, even Microsoft appears to be getting the idea that walled gardens aren’t popular with “these kids today” who will be making purchase decisions tomorrow.